Give yourself over to absolute pleasure! 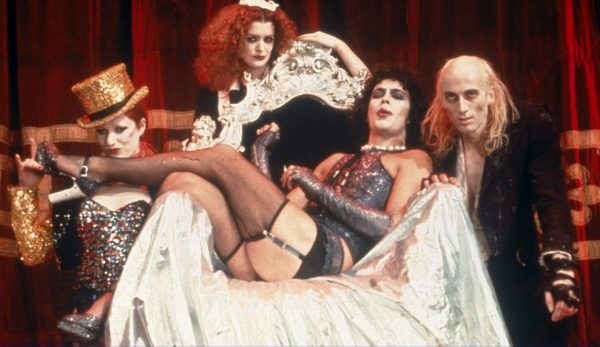 Let’s do the time warp again at this year’s return of Rocky Horror Picture Show screening and live show, presented by the Englert and Comics in Action on Saturday, October 29th at midnight. Come out at midnight for the only film that brings together costumes, screaming, laughs, and the occasional thrown object! We’ll provide the props (included with your ticket purchase), you bring your best voice and all your virgin friends. Don’t dream it, be it. Come as your best Rocky Horror character (or something else…), and enter to win for a first place prize! And damnit, Janet, oversized costume props are not allowed in the theater. Englert staff may ask you to check oversized items at the Box Office.